A recent Utility Dive article examines how the wind industry might cope without the wind Production Tax Credit (PTC), which is designated to expire in five years. The wind PTC is a subsidy that pays wind producers a significant sum just for producing wind energy. 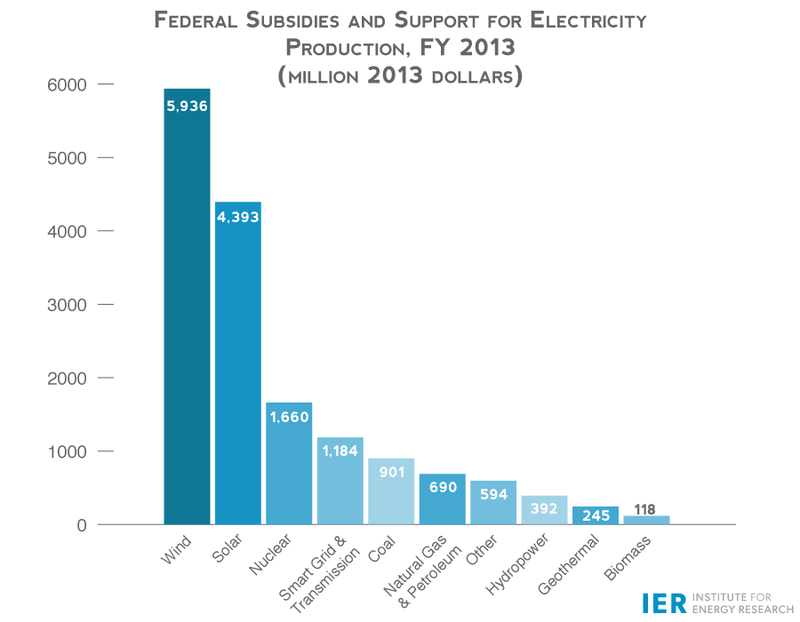 The Institute for Energy Research (IER) has outlined the ill effects of this subsidy here. We at the American Energy Alliance agree with this sentiment. Less political meddling in the energy business means more affordable energy for the American people. However, while Brown feigns concern over the role of politics, the actions of his company tell a different story. Since Brown joined Vestas in late 2012 through the first quarter of this year, Vestas has spent $990,000 lobbying Congress on the PTC and a handful of other issues designed to subsidize the wind industry. As the second largest wind developer in the country (the company makes up about 1/5 of the market), Vestas and its leadership have benefitted greatly from the lavish PTC and other handouts from the government. 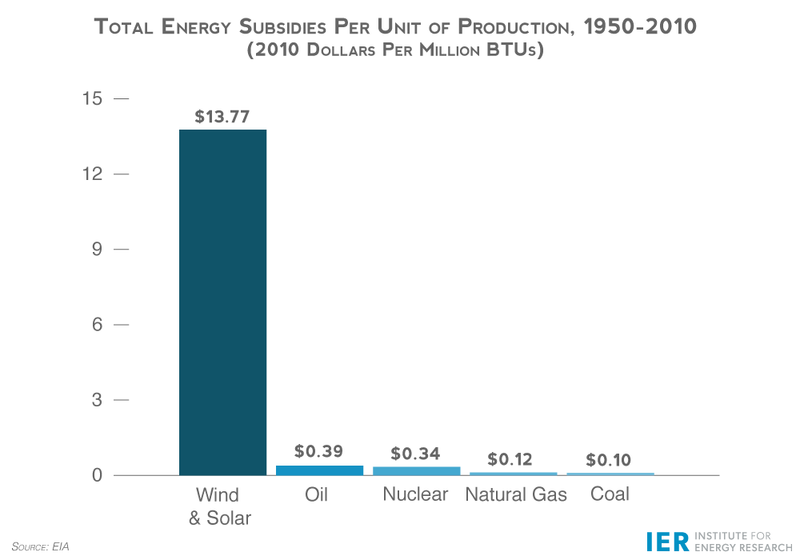 The claim that natural gas is heavily subsidized, especially when compared to wind energy, is absurd to put it lightly. 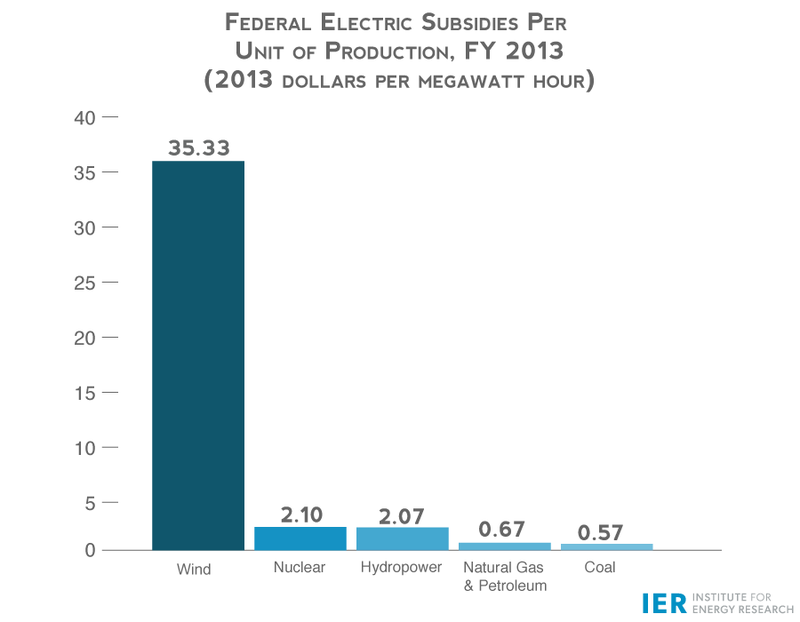 As we’ve explained before, data from the Energy Information Administration (EIA) show that wind energy, along with solar power, are by far the most subsidized sources of energy. According to EIA, wind subsidies totaled $5.9 billion in FY2013 alone. That’s nearly twice as much as coal, natural gas, and nuclear combined. In a previous post, AEA showed that the gap widens even further when you look at subsidies per unit of electrical energy produced. In FY2013, federal electric subsidies for wind energy clocked in at $35.33 per megawatt hour, compared to $0.67 for natural gas and oil. Finally, from 1950 to 2010, wind and solar power have received 115 times more subsidies per million British Thermal Units (MMBTU) of energy produced than natural gas. It’s clear that wind, not natural gas, is a heavily subsidized fuel. And if we truly want to get politics out of the way of consumers and businesses, as Brown says he wants to do, we should get rid of all subsidies and allow energy sources to compete in the marketplace rather than in the halls of Congress. Another wrinkle in Brown’s argument against natural gas is that wind energy is heavily dependent on natural gas. Other than being an extremely expensive source of electricity, wind energy is also intermittent. On average, wind energy operates at just 1/3 of its capacity and even then, wind often generates electricity when we need it least, as IER explains here. As a result, there must always be another source ready to ramp up its generation when the wind isn’t blowing (or ramp down when wind output is high). That source is typically a natural gas plant, which can ramp up and down much easier than baseload pants like nuclear or coal. In other words, if natural gas is just a transition fuel to get us to the wind-powered grid of the future, what will keep the lights on when the wind stops blowing? It has become common practice for the wind industry to complain that they receive far less federal handouts than other energy sources, such as natural gas. However, the reality is much different. Through well-financed lobbying and political efforts, the wind industry has managed bilk the American taxpayer for tens of billions of dollars in subsidies over the past two decades. It’s disingenuous for Mr. Brown to claim otherwise or to pretend he’s above politicizing the power grid. AWEA’s very mission is to ensure the wind industry gets as much federal welfare as possible.